Over the past month, the Student Government has been discussing many issues and ideas to improve student life. We have discussed outdoor seating for lunch during warm weather and a… Continue reading "March Student Government Update"
Votes have been cast and tallied. Here is your 2016-17 Student Committee: Senior Leader Aeden Boppert 11th Grade Leader Jane Platt and Davis Colley 10th Grade Leader Kaitlyn Major-Hale Speaker… Continue reading "2016-17 Student Committee"
Are you excited for spirit week? Because we are!!!! Here are the categories for each day: Monday: PJ day Tuesday: Color War 12th grade: blue 11th grade: black… Continue reading "SPIRIT WEEK!!!!! February 29th – March 4th"
Monday, June 1st Your votes have been counted! The Student Government for 2015-2016 is shown below. 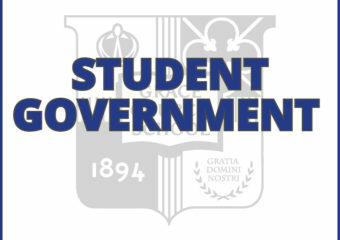 12th Grade Senior Leader: Winston Simone 11th Grade Leader: Jackson Herz 10th Grade Leader:… Continue reading "Student Government for 2015-2016"
This past week, the Student Government discussed a wide array of possible upcoming events and other improvements to begin working on within the high school. The first is that Madame… Continue reading "Student Gov’t Update"